DFMA Analysis - Windings Inc.
Clients are often faced with increasing pressure to increase quality and throughput while decreasing costs on products already in full-rate production. 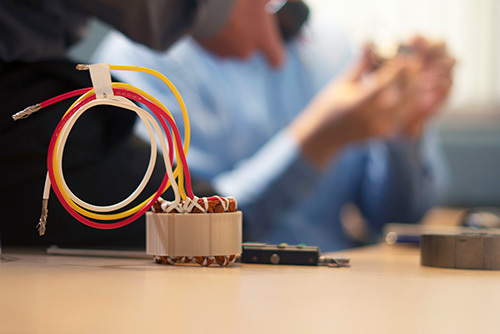 With little to no experience manufacturing motor components, finding a solution to meet their continuous improvement objectives can be a significant challenge. With more than 50 years of experience manufacturing motors and motor components, Windings’ design and manufacturing engineers can be a valuable resource. 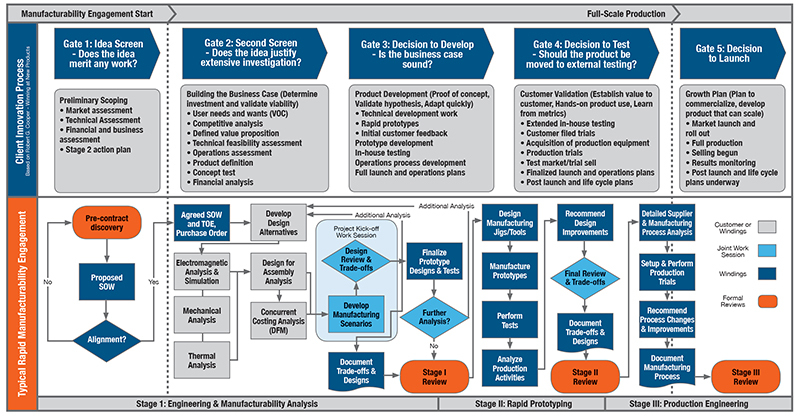 Utilizing Design for Manufacturing and Assembly (DFMA) Analysis, a subset of Windings’ Concurrent Engineering process, Windings’ engineering team can analyze competitor’s designs and identify opportunities for improvement such as feature integration to reduce part count, feature modification to simplify assembly and reduce defects, and material substitution to decrease cost. In addition to analyzing part design, the engineering team can utilize DFMA Analysis to analyze the client’s manufacturing process, including jigs, fixtures, tooling and assembly methods to identify additional opportunities for improvement. Windings will provide all necessary documentation to support full implementation of any proposed changes by the client. If necessary, Windings can provide the client with prototype parts for testing to confirm actual results prior to formal adoption. Click on the link below for a flow diagram of Windings’ Concurrent Engineering process.